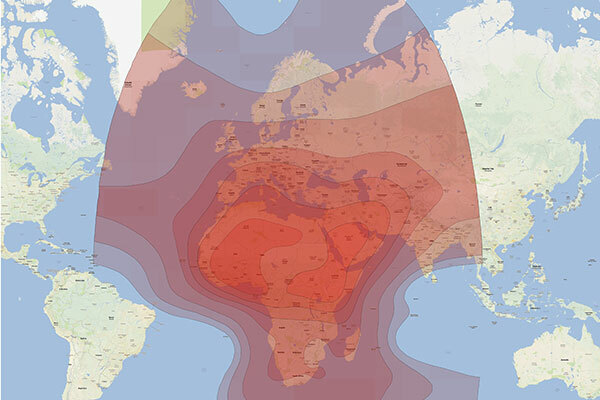 The Arabsat 5C satellite is covering all parts of Africa, south Europe, the Middle East as well as Afghanistan and Pakistan. It has a powerfull beam over Africa especially the southern part of it, and a very good beam over Afghanistan and the Middle East. We currently run two different networks on Arabsat 5C. One iDirect Evolution network, and one Newtec network for higher capacity links.